Are you considering a winter sale in Michigan? You’ll want to make sure potential buyers fall in love with it. Here are 4 great ways to stage your house for a winter sale in Michigan. Winter is a favorite time of year for many people. 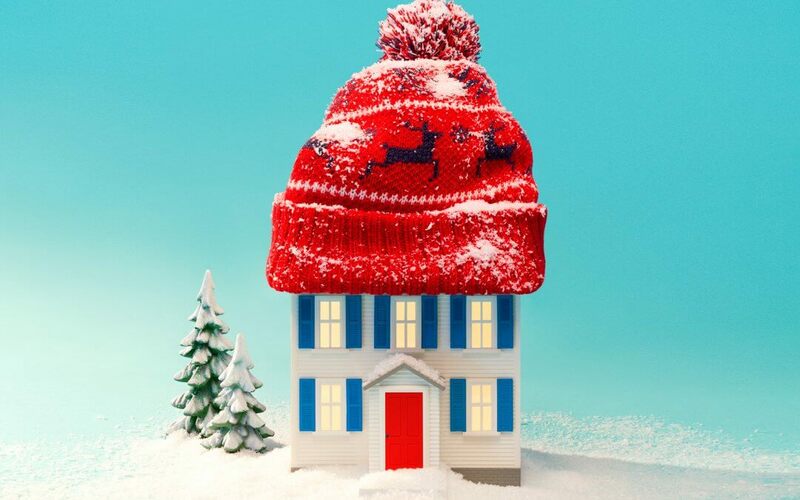 However, if you’re planning to sell your house, winter can be a very difficult time of the year. Fortunately, there’s always something you can do to get your house sold fast, even during these cold Michigan winters. … but the inside of your home can be so delightful! In fact, people often associate winter with warm, welcoming homes. This is exactly what many buyers are looking for – a welcoming place they can call home. So when you stage your home in winter, make it feel like they’re there just in time for winter treats and eggnog around the fire. Simple tricks like lighting a winter scented candle can help people feel more at home right away. Not every home has a fireplace but if yours does, you may want to highlight it as an ideal place to provide a warm and comforting glow. Your home likely won’t appeal to everyone, so highlight some it’s unique features like a fireplace or any other updates you’ve recently completed. Buyers are less likely to travel around to many houses during the cold, wet months, so be sure to highlight the best features your home in your MLS listing. You don’t have to leave presents under the tree for your buyers, but some cheap, simple decorations can really make your house stand out. Consider adding some simple picture frames around the house (be careful of the walls), a wreath on the front door, and a few plants throughout the house. These are very cost effective ways to give your house more a “home” feeling. Michigan winters bring a ton of SALT. Salt is killer for every house. It’s bad for flooring and makes everything look like a mess. Consider adding some cheap plastic walk ways throughout the house to minimize the mess. You’ll also want to stay on top of cleaning. Also, if it snows, be sure to keep the driveway and walkways clear. Selling your house in winter isn’t always easy. People are busy with seasonal events and family get-togethers, and it’s usually colder and messier weather. You can use the season to your advantage by staging your house using these 4 ways to stage your house for a winter sale in Michigan. If you’re looking for a FAST CASH sale, we’d love to discuss buying your property. We may be able to pay you cash in as little as 7-14 days. Click here to fill out our quick form!